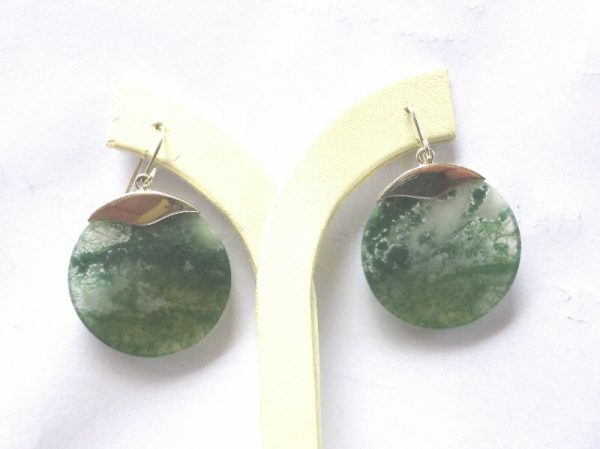 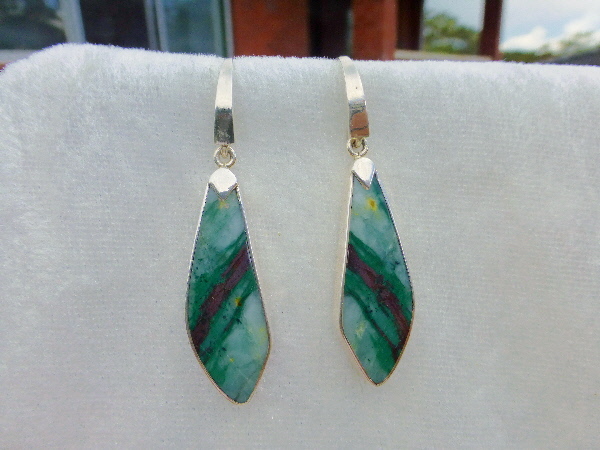 MOSS AGATE EARRINGS. 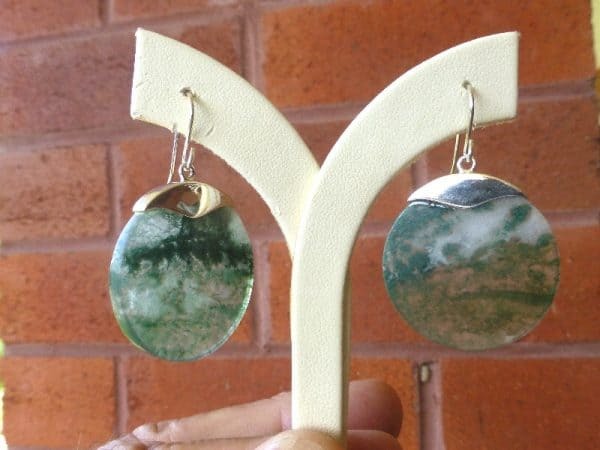 Moss agate is a semi-precious gemstone formed from silicon dioxide. 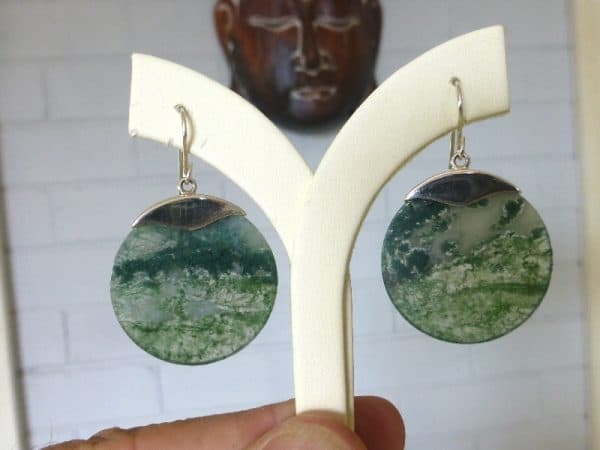 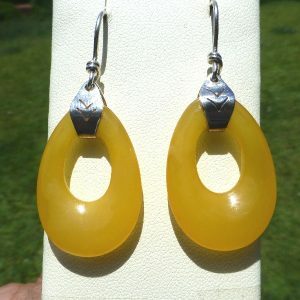 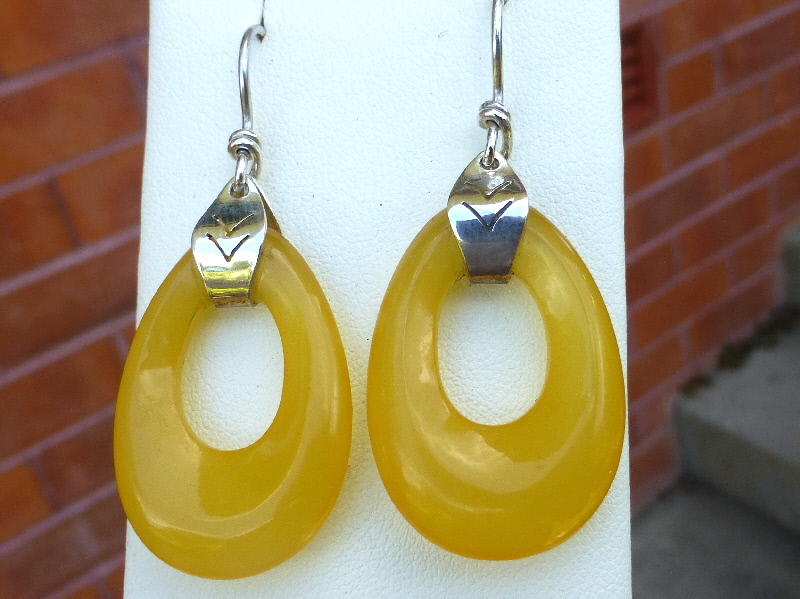 It is a form of chalcedony which includes minerals of a green colour embedded in the stone, forming filaments and other patterns suggestive of moss. 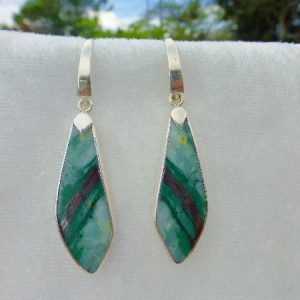 The cut stones allow the light thru, displaying lovely patterning. 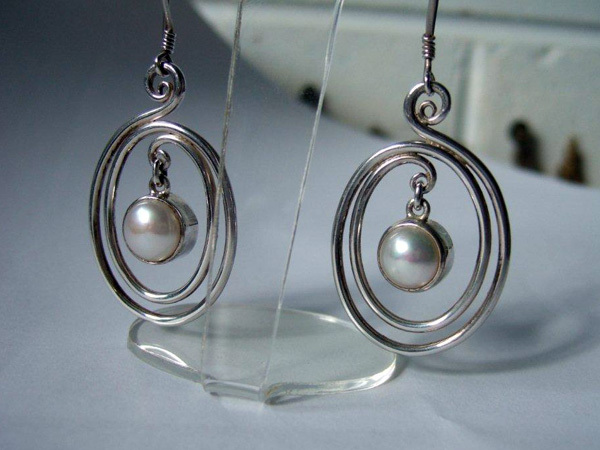 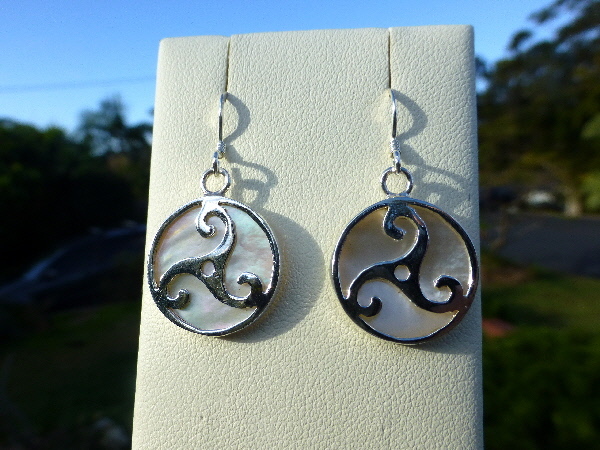 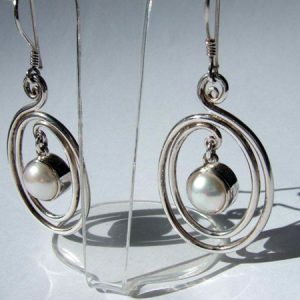 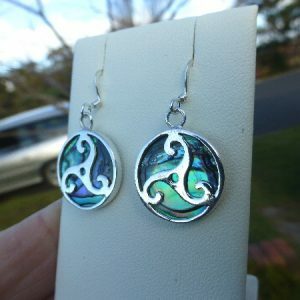 These earrings feature a pair almost matched (very difficult to get exact matching), 25mm discs,and the earrings weigh 14.1g.